This topic has 10 replies, 7 voices, and was last updated 1 year, 3 months ago by hellokitty. I have two AR-15’s. One is a modified BCM optimized for carbine fighting (lacks IR since I have no night vision). I run a Burris MTAC on QD mount and BUIS. The other is a Ruger AR556 with BUIS and Trijicon RMR (“recycled” due to my failed G19 MOS experiment). Both have quality slings, ambi safeties, and 20 mags or so each. A year and a half ago, I picked up a PWS MK216 on the idea that as a lone citizen defender, a gun in 7.62x52mm gives me more options. It covers hunting if needed and hits harder at longer distances, though the 16” barrel cuts performance down a notch. 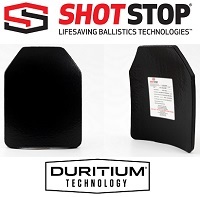 It realistically gives me 500-600 yards with the stretch option to try for 700-800 yards. None of the range differences matter in my immediate urban location where 200 yards is a long shot unless I am shooting down a highway. I run an MTAC on it, good sling, handstop and light. I have 24 magazines, over half of which are Magpul 25 round mags. One caveat on the PWS is that it is “acceptable” to the government of Maryland as being “non-scawy” due to its heavy, non-portable barrel. My BCM and Ruger have “vewy scawy light barrels” and therefore cannot come into the state to live. These barrels apparently cause the guns to jump up suddenly and start shooting. However, the PWS can be easily replaced with another gun. I would likely replace it with another BCM or Colt 6920. Ammo is not a problem for any of the three guns. My thought is to keep the PWS for the versatility. But does that really matter? Your opinion is appreciated. 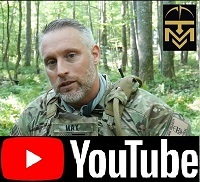 Sell the Ruger and the PWS then get trained and get your gear straight using Max’s fight light concept. You can only use one rifle at a time. The BCM will do most of what you want. Take it from others who spent way too much money on useless crap. What is your AO?? You’ve already said ~ 200 yards. You’ve also said possibilities of 500-600 yards. Stay with the BCM or Colt. Take the other monies and TRAIN. 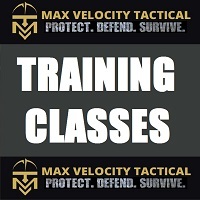 Look for a Long-Distance Shooting class Max offers. This way, no matter WHAT kind of rifle you use (buy, gifted, or pickup), you’ll have the knowledge (non-perishable) and skills (perishable) to use it. The underlying problem is what many of us have already been through (some still traveling through ) – you’re trying to use equipment to make up for lack of skill – AIN’T GONNA HAPPEN. This is NOT meant as a slam. But everything you’ve discussed has been discussed before on the forums. I know ‘cuz I’ve been where you are now…… Take the time to read through the forums. Pay particular attention to posts by Max, First Sergeant, Robert, Sam Brady, Joe GWNS (just to name a few). Repeating for emphasis – BEFORE you do anything else (sell, buy, post questions, etc), read through the forums. Your answers are listed there. Yes, people (myself included) have given, could give answers but you won’t understand why until you’ve read the forums, over and over. Welcome to the forums and the group!! Just out of curiosity are any of the carbines pre-ban? Get training and keep your rifles. Unless you need to sell some of them to train. The BCM is pre-2013. I just didn’t feel like messing with Maryland silliness. It can be “imported” any time since it is just across the border in Virginia. The Ruger is new. No need to sell for training. I have a gun fund. Selling the PWS would be more of a way to fund a better plate carrier, Level 3+ plates, helmet and start a night vision fund. 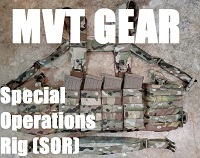 One of the reasons I joined the forum is because MVT offers night vision training and I know nothing on the topic. I figured the $25 fee keeps out the riffraff. What is the MVT doctrine against the heavier rifle and caliber? I am digging around looking at older posts around the site. No doctrine against, just most are ignorant of what they are getting themselves into, or have false expectations of what it truly provides. I understand the problem of the heavier rifle now after reading “Arming with a 308?”. 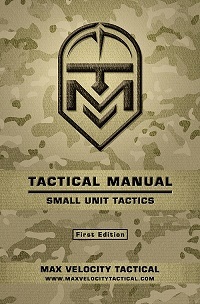 I have had the rifle shooting classes and basic commmnicate-move-shoot training but not the tactical training. This means I won’t be able to exploit the effects of the “boom-boom” and would get minimal benefit in a lone civilian defender situation. At this point, I will just leave it in the safe (it is my only Maryland rifle) and not invest more into it. Selling it will result in too much loss (I will be lucky to get $1600-$1800 for a $2150 rifle), so I would rather keep it. Maybe I can arrange a trade sometime for an equivalent condition high end AR-15 with new optic. I have a PWS MK214. I also have a MK114. They are the cadillacs of the AR family. Keep it. It is a piston and the best piston gun second only to HK. Put a low power optic like and ACOG or Burris 536 and you gotta a battlrifle that can do anything you want, CQB to DMR work. They shoot sub MOA with right ammo. My MK214 loves Fed 168gr MK and MK114 loves Fed 69gr MK.